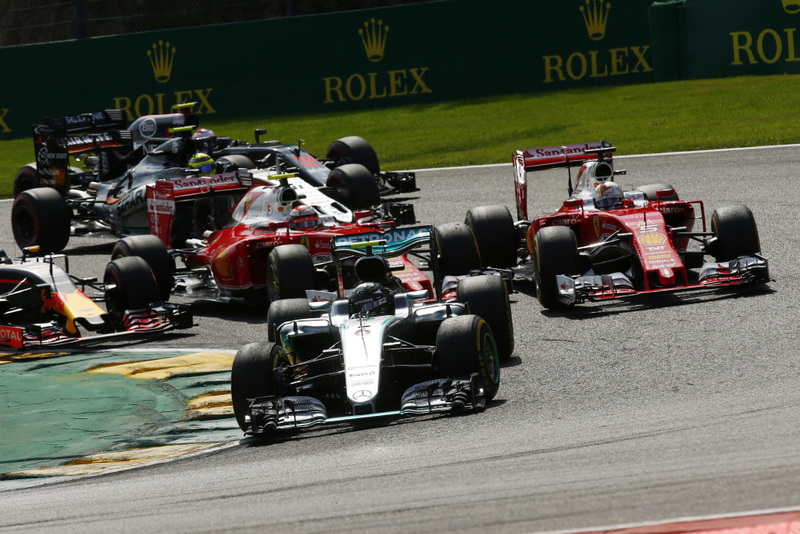 Enjoy the Belgium F1 Grand Prix in style with a hospitality package! The City of Spa, Belgium, is one of the greatest European circuits for a Grand Prix event with a stunning design for guaranteed edge-of-your-seat action, and a host of options for a comfortable, unforgettable stay. The circuit, just 8km from the town is perfectly located for a weekend of entertainment as well as enjoying the thrilling action on the track. 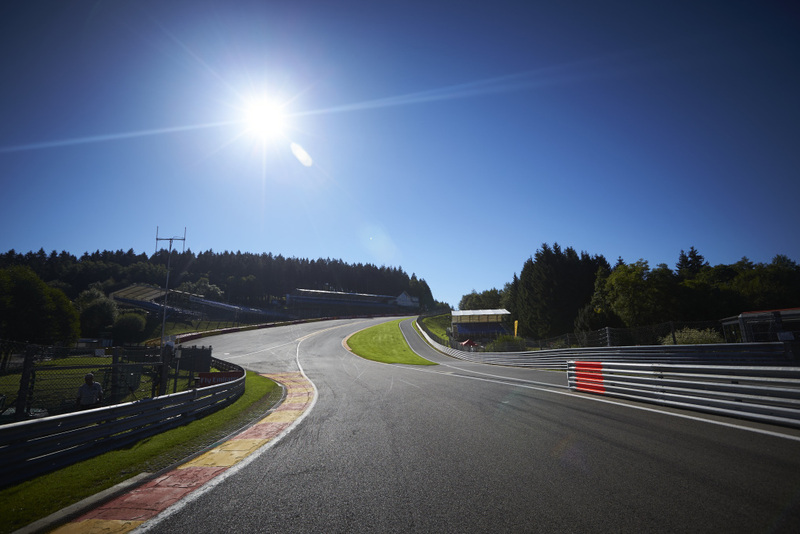 With some of the finest dining in Europe, luxury hotel options, and a historic circuit to enjoy watching the Formula 1 cars perform, your Belgian Grand Prix is guaranteed to be a memorable experience, but why not take it up a notch with a hospitality package that caters to every aspect of your experience? We’ve put together some of the best premium hospitality packages for your Grand Prix weekend. Take a look at the options available below and fill out our enquiry form to find the best prices and options for your requirements. The Mezzanine is the only hospitality suite located on-site aside from the Formula One Paddock club (see below). This luxury suite provides excellent views of the circuit, located above the GP2 support race pits for up-close viewing of pit lane action and the start/finish line. Guests will enjoy perfect views of the practice, qualifiers, and race from the comfort of the suite or the beautiful roof terrace, with refreshments available throughout the day. This exclusive hospitality package offers a premier Grand Prix race experience with your weekend tailored exactly around your needs. The club offers a prime viewing location to watch all the action of the race with unrivalled views, access and an unparalleled luxury service with every attention to detail catered for. You will receive fine dining options, an open bar with free-flowing champagne, meet and greets, and a seamless service from start to finish, taking in all the action of the race from the premium location on the Pit Building terrace or inside the comfortable lounge areas with many more benefits available to you. The Paddock Club is a VIP hospitality area located directly above the Teams’ Garages, and when Red Bull became an official F1 partner, they wanted to introduce their own style into a VIP experience for guests looking for that extra special edge for their Belgian Grand Prix weekend. The Red Bull Paddock Club experience offers gourmet dining from world-renowned chefs, live entertainment by the Red Bull resident DJ, access to the exclusive Red Bull bar with champagne, fine wines, energy drinks and more. The Gold 1 hospitality package includes a seat in the exclusive covered Gold 1 Grandstand, with catering at the luxury Hotel de la Source located on the first corner of the track for a prime viewing location! With this package you will enjoy views of the start/finish straight, fine dining options for breakfast, lunch, and snacks and farewell drinks as well as exclusive access to one of the best viewing-areas on the circuit. Prices start from 1,650 Euro. The Holiday Package includes a luxury hotel with excellent access to the circuit, transfers, race viewing, and the option of added Eurostar travel to your package. You will be able to choose from a range of 5 star Hotels in the city of Spa or one of the beautiful surrounding villages for a quieter experience, and will be ideally located to enjoy some of the finest dining in Europe.